The Malt Whisky Trail showcases whisky, Scotland’s most exported product and over half of the Whisky distilleries in the country are situated in the area, with the four highest selling single malts in the world all produced within 30 miles of Muckrach. With this vibrant industry available on our doorstep, an adventure along the renowned Whisky Trail is an activity steeped in local heritage; something not to be missed while staying in the Highlands! Delving deep into the rich history of Scotland’s Whisky culture, seven local distilleries offer guided tour options, many of which include exclusive tasting sessions exploring the traditions which make up each individual malt. 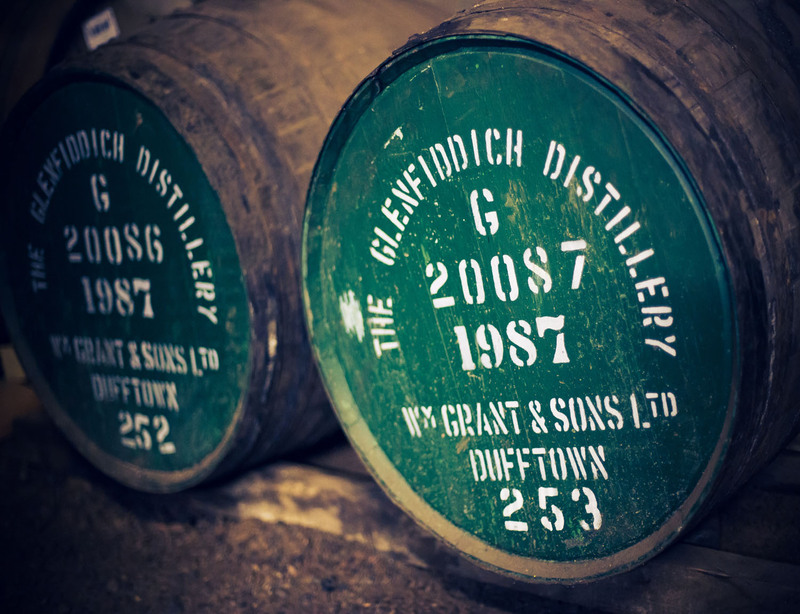 Stops along the route include world-leading brands such as Glenlivet and Glenfiddich, who offer a wide range of options for tours around their famous distilleries – experiences tailored to both the whisky novices and the fine malt connoisseurs. Also found in the region are the Cardhu Distillery, home to the production backbone of Johnnie Walker, the worlds most popular blended Whisky, as well as Strathisla, who produce Whisky for brands including the much vaunted Chivas Regal. The route also features the Speyside Cooperage, the UK’s only functioning cooperage offering first hand insight into the ancient art which sustains the Whisky production of the region. An adventure along Speyside’s Whisky Trail will soon open your eyes not only to the scale of production in the area but also to the diversity in flavor and character produced at each distillery. 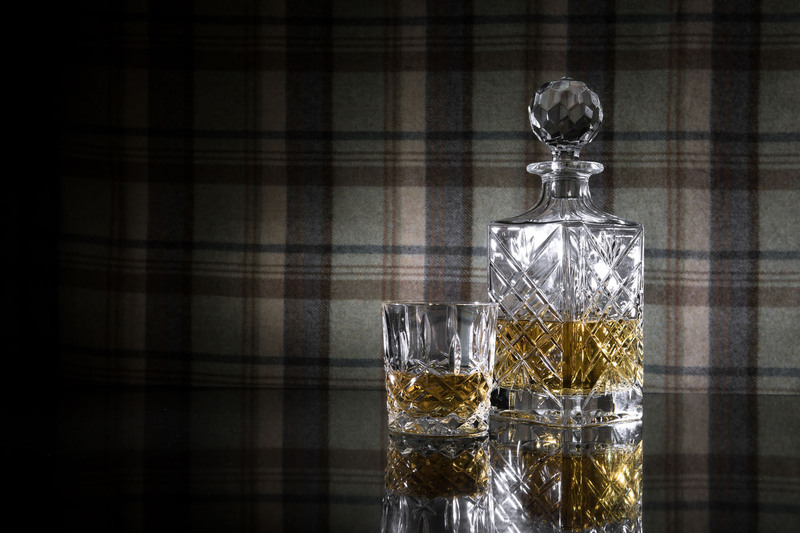 Easily accessible by car along the A95 and adjoining A96, the trail ventures through the Cairngorm National Park and into communities such as Dufftown, Keith and Elgin which have thrived on the popularity of the local single malts. The pride displayed by the residents of Speyside is shown most evidently at the annual Whisky festivals which are held in May and September across the area, with each town and village welcoming visitors with individual samples of local whiskies and exclusive nosing sessions. Known in the area as ‘Uisghe Beatha’ – the water of life, Whisky, and the industry surrounding it, has left an indelible mark on the culture of locale. The Speyside Malt Whisky Tail provides the perfect chance for visitors to sample the true taste of the Highlands, just one of the many features that makes the area totally unique and absolutely fascinating! Muckrach Country House Hotel sits in the heart of The Malt Whisky Trail, within 25 miles you can be nosing a Glenlivet and minutes later a Glenfiddich. If you have spent the day enjoying the whisky making process, nosing some of the most famous whiskies of the world, why not then test your newfound knowledge of whisky in the bar at Muckrach? Enjoy dinner in the restaurant and a stay in one of our 11 individually designed bedrooms, all open from Spring 2015.